we have a pair of Cardinals hanging around in Bird Alley , however they are both very elusive. we see the female more often than the male, but if she sees us looking out the windows at her she is gone like a fash. 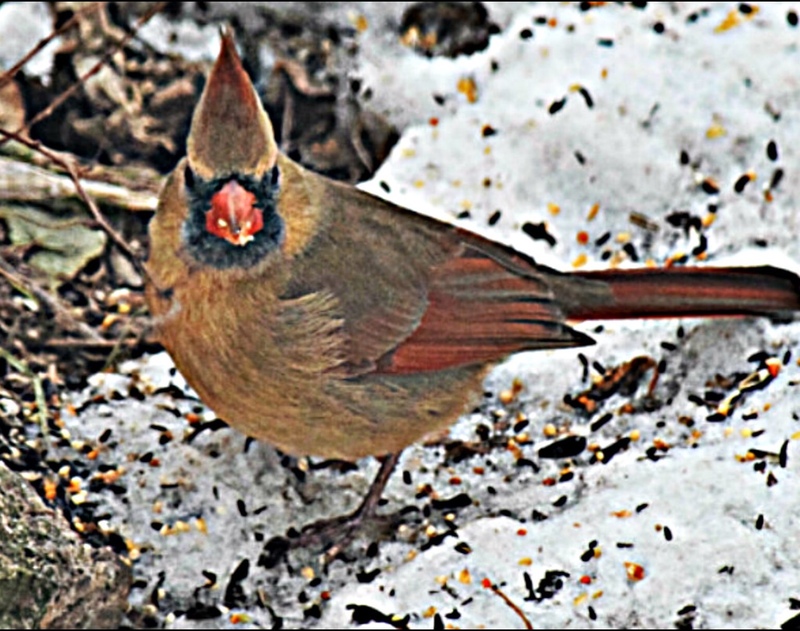 Last week we were very surprised to see two female Cardinals feeding here. Hello, pretty shot of the Cardinal. My cardinals are shy too. Happy Thursday, enjoy your day! That's neat! 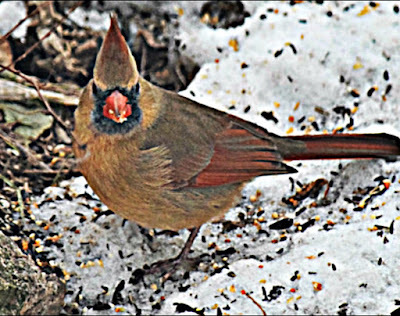 Your winter birds will be interesting to have two cardinal pairs. 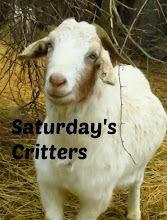 why not join in every Saturday morning! My book-award winning daughter Riel Nason's website link can be accessed here. Information and details about the regional winner of the Commonwealth writers book prize for Canada and Europe; Riel Nason's award winning debut novel, "The Town That Drowned" can be found here. Just click on the cover picture. Enjoy! Nature Center Magazine: check it out! BeautifulSkies from all over the world can be seen on Skywatch . Why not join in? There are 63 covered bridges in the province of New Brunswick and I love finding them in those 'out of the way' places. I have photographed most all of them, with only about 4 or 5 yet to locate. I still have many photos yet to post on my New Brunswick Covered Bridges blog. If you would like to visit and see more pictures of Covered Bridges, just click on the picture above. FFP Quilt Corner: an amazing and beautiful blog of quilts and quilting!